What an interesting read Thirsty was. Kristin Bair O'Keeffe drew upon her own family's history in writing this debut novel. Klara Bozic is 16 when her mother dies. She realizes that the only way to escape both a life of drudgery and her physically abusive father is to marry. A traveller comes knocking at the door one day. The family extends him hospitality and when he leaves for America in 1883, it is with Klara as his wife. 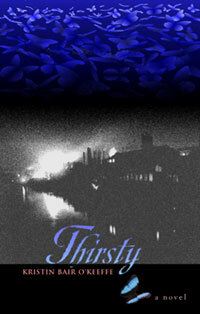 When they reach the steel mill town of Thirsty, Pennsylvania, Klara is disheartened. It is dirty, loud and nothing like she had imagined. Even worse, her husband Drago is just or more abusive than her father. The only saving grace is her neighbour Katherine. When Klara's only daughter is also the victim of spousal abuse, Klara realizes it has to end. Thirsty covers 40 years in Klara's life. The premise behind this book was the exploration of domestic abuse through generations and the need to stop the cycle from repeating again and again. I enjoyed the historical setting as a vehicle for this exploration. O'Keeffe brings to life the desperate, harsh conditions of the time. The steel mill squats over the town, dominating and dictating life for these families. The women waiting by the fence for news of who has died is especially memorable. Sorrow is a constant visitor to the town. Interspersed are moments of joy - the unexpected clouds of butterflies that swarm the town, the small kindnesses afforded by those with very little, the friendships that Klara forms. One criticism would be the 'jumps' in the story line. I would just become invested in a time frame and the novel would unexpectedly move ahead a number of years. 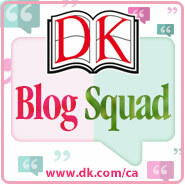 Klara, Katherine and the two men who become Klara's 'saviours' are fleshed out and well drawn. Her daughter Sky was a bit of a wraith - I never really 'felt' for her. Her two sons are really just names in the book. When tragedy strikes, I couldn't connect as these characters were never fleshed out. Drago is guilty, but he is just as disappointed with life in Thirsty. We are afforded small glimpses into his background and thoughts. Thirsty is a novel I enjoyed. O'Keeffe's prose are beautiful and the message clear - the cycle can be brought to an end. This sounds fascinating, especially that setting and time period. This author is new to me. Glad you enjoyed the story. This sounds like one that would make you think and count your blessings. Fantastic review, Luanne. I've not heard of this book but it does sound interesting. Klara's marriage sounds like the old phrase " from the frying pan into the fire." I'm not familiar with this book, but it seems like a great one. I enjoyed your review! Sounds like an interesting book. This was the first I've heard of this - thanks for sharing! I love novels set in another time period, and this one sounds especially interesting considering the worthy subject matter. Just fron reading your review, I feel like I know Klara. I'll definitely have to read this one. 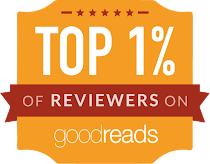 Thanks for reviewing it! Terrific review! This is a horrible topic but it seems to be an inspirational story. I'll be looking for this one too.